It’s that time of year! It’s time for great beer and brats in Panama City Beach! This October 4-6 at Aaron Bessant Park in Pier Park, PCB Oktoberfest is on for three days of German and locally brewed beer, food, music, as well as activities for kids and families. The event will feature a massive 150&apos;x50&apos; tent decorated like the authentic Oktoberfest tent in Munich, Germany, as well as two outdoor beer gardens and a VIP section under the tent. Get ready for great German food! 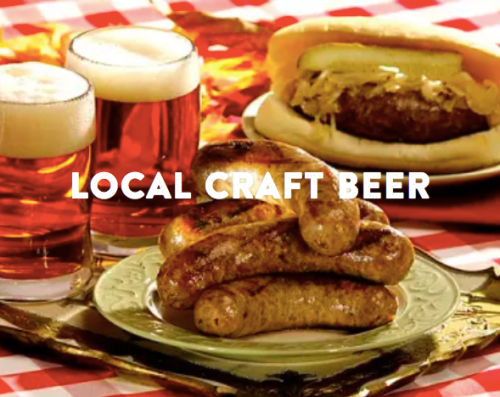 Pair your beer with brats, either famous or smoked, meterwurst, or hot dogs (with or without sauerkraut). Plus, nothing is better with your new and old favorite beer than giant pretzels with beer-infused cheese. Come out for good eats including other traditional Oktoberfest fare. The Hofbrauhaus in Munich (or Munchen as they have it in Germany) is the 500 hundred-year-old beer hall that attracts locals and visitors from around the world every single day of the year. It’s also home to one of the biggest and oldest Oktoberfests in Germany. Hofbrau is brewed in Munich and follows the Bavarian brewing regulation for purity which has been in effect since 1516! At the PCB Oktoberfest, authentic Hofbrauhaus Munchen beer will be served. To round out the German beer selections at this year’s Oktoberfest is the Erdinger Weissbrau, a 130-year-old wheat beer brewed exclusively in Erding, Germany and exported around the world. If you haven’t yet tasted this beer, try it at PCB Oktoberfest 2018! Nivol Brewing Co. is located right in Panama City Beach and has a variety of beers. For this year’s festival, try out Nivol’s Oktoberfest, an amazing honey junkel, as well as a Munich and caramel malt amber ale called the Donkey D.
Grayton Beer Company, founded in 2011 in Santa Rosa Beach, Florida, makes craft beer that reflects life along the Emerald Coast. Get ready for the 30A Beach Blonde Ale at this year’s Oktoberfest. Oyster City Brewing Company, founded in 2014, in Apalachicola, Florida, features ambitious experimentation and small-batch brews. Hit up the Oktoberfest beer garden as they will have the Mill Pond Dirty Blonde Ale available! The availability of these beers at the Oktoberfest event may change, but be sure in inquire with these breweries for where you can purchase these beers to enjoy at home or in bars and taprooms around the region. Get ready for great German food! Pair your beer with brats, either famous or smoked, meterwurst, hot dogs (with or without sauerkraut). Plus, nothing is better with your new and old favorite beer than giant pretzels with beer-infused cheese. 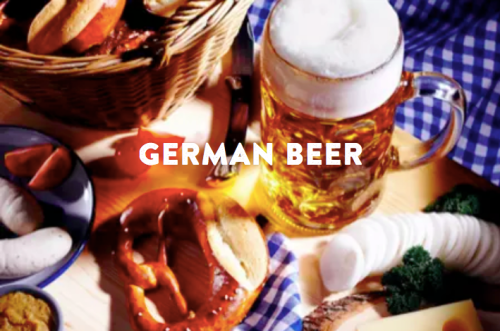 Come out for good eats including other traditional Oktoberfest fare. Expect two days of music and entertainment from mixes from DJ Will, as well as live music by Euro Express Band, Darrell and Beatrice Band, the Heritage Band and more! Bring the kids and they will enjoy rounds of corn hole, or they can burn off excess energy in one (or all eight) of the blow-up bounce houses and slide zone. A pumpkin patch will be on site to get kids excited about the fall and Halloween just two weeks away! Kids and adults alike can get their faces painted and get a photo memento of the fun they had at the gif photo booth by Epic Photo Co., sponsored by Beachy Beach Real Estate and Coastal Insurance South Walton. For the grown-up kids, don’t miss out on the stein hoisting competition on Saturday to test your strength and distance throwing abilities! 3 Day Family General Admission - 3 day General Admission tickets get you into Oktoberfest to enjoy the event. Kids 12 and under are free. Kids 13+ will require a General Admission ticket. 3 Day Stein and Beer pass - 3 day Stein and Beer pass gets you into Oktoberfest each day, plus a half liter beer stein, and (3) half liter beer tokens. Possible liter stein upgrades from half liter steins will be available at the event. 2 Day VIP Pass - 2 day VIP pass comes with a half liter beer stein, unlimited beer, an Official Oktoberfest t-shirt and 2 days of entry into Oktoberfest. Possible liter stein upgrades from half liter steins will be available at the event. 3 Day VIP Pass - 3 day VIP pass comes with a half liter beer stein, unlimited beer, an Official Oktoberfest t-shirt and 3 days of entry into Oktoberfest. Possible liter stein upgrades from half liter steins will be available at the event. Please visit the ticket site to purchase.